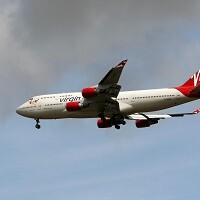 Virgin Atlantic has unveiled an online service to keep its travellers updated with essential flight information. By using the social network Twitter, the British airline will allow passengers to tweet their inquiries to @VAAInfo and it promises to answer them immediately. As most modern mobile phones have internet access and special apps that can directly load the micro-blogging site, the latest service will come as a handy tool when people are about to take off for their holidays. Fergus Boyd, head of E-commerce, said: "We now have over 50,000 Twitter followers worldwide and we know that many of them use the social network to keep abreast of travel news and updates." Mr Boyd further said it is expected that the new service will provide instant help to passengers especially during travel delays and disruptions. People may also find it useful to have an adequate travel insurance policy in place before setting off on a journey. Copyright © Press Association 2011.